You have a choice of the relative difficulty of the problems. rating that maximizes the rating gain per problem. # vs a player with strength s2. # player with strength s1, rating r1 vs a player with true rating r2. # The optional rating deviations are rd1 and rd2. Assume a player has a rating of 1500 but an actual playing strength of 1700. 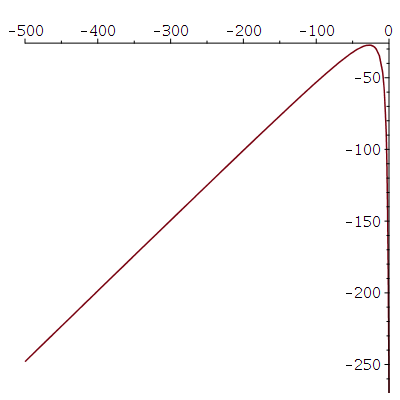 Compute the expected rating change for a given puzzle rating, then plot it. As expected the graph has a peak. As your rating improves, you'll want to adjust the rating of the problems (the site doesn't allow that fine tuning). 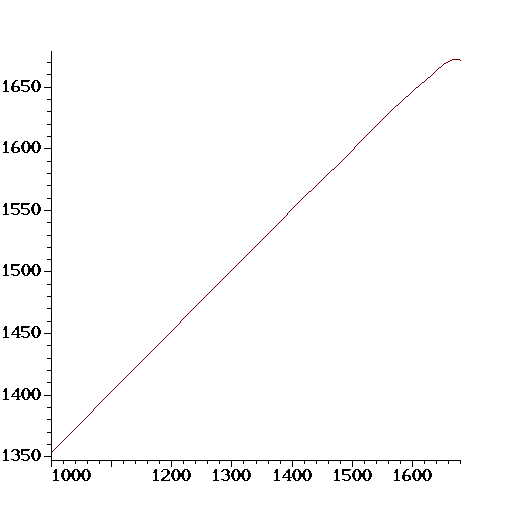 Here we plot the optimum puzzle rating (r2) for a given player rating (r1), assuming the player's strength remains at 1700. Here is a Maple worksheet with the code and computations. After pondering this, I realized there is a more useful way to present the results. 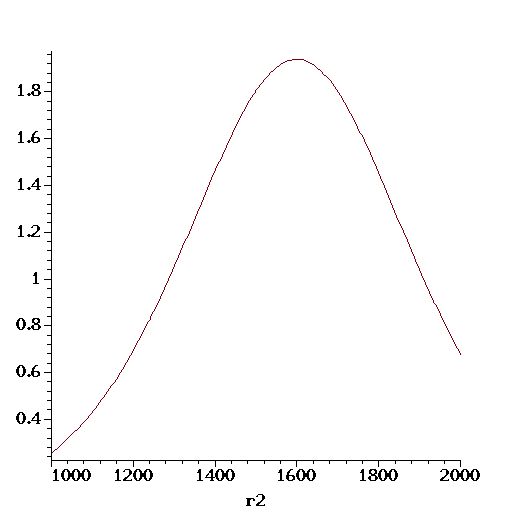 The shape of the optimal curve is independent of the user's actual strength. Showing that is trivial, just substitute a symbolic value for the player's strength, offset the ratings from it, and verify that the result does not depend on the strength. 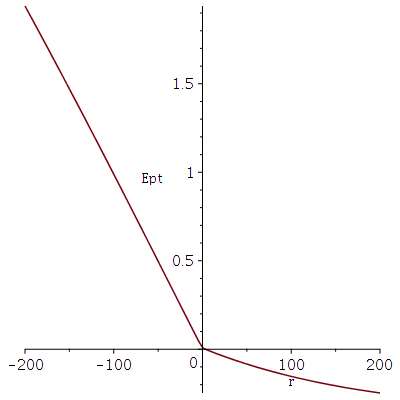 Here's the general curve, shifted so the player's strength is 0, r1 and r2 are relative to that. Compute and plot the expected points gained when playing the optimal partner and your rating is r-points higher than your strength.